Will Electric Vehicles Conquer the World? Is it the end of days for gearheads? Wherever you turn it seems that the days of big block V-8s and even driving are coming to an end? It’s not the end of oil which is leading this charge. In fact, new technologies have found ways to get even more dinosaur juice out of the ground. Instead, it’s the combination of electric vehicles (EV) and autonomous cars. While gas powered cars will probably be here for a while, there is no denying that the EV’s are gaining ground. As such, we try to answer the following question – will EV’s conquer the world? Some might wonder why all the hubbub behind EVs? After all, the story of battery powered cars goes back to the very beginning of the car. In those days’ batteries vied with steam and gas-power cars for supremacy. 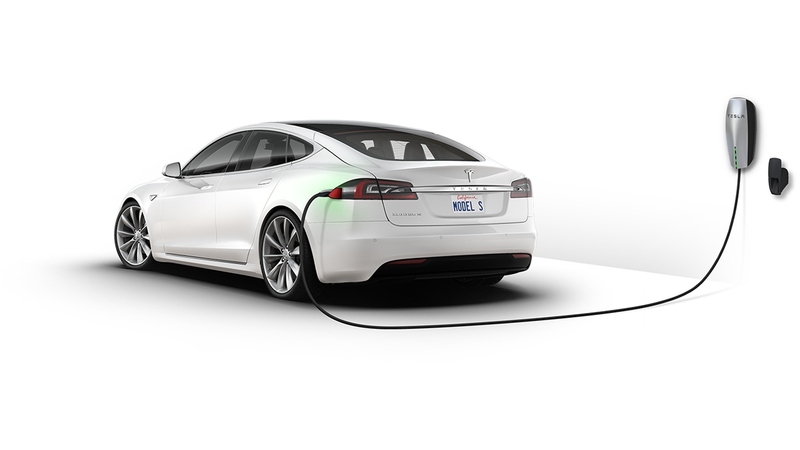 We all know how that ended, but it seems like the dream of electric cars has never gone away. Back in the 90’s, General Motors came out with the EV1 and this car seem poised to position the company at the forefront of an engineering revolution. However, it didn’t quite work out that way. While the tinfoil hat crowd will lead us to believe that this was due to a conspiracy between the automaker and the oil companies; the more likely reason is that the technology wasn’t quite ready for prime time. Next up came the gas-electric hybrids such as the Toyota Prius. While these cars have been successful, fewer than 600,000 hybrid cars are sold in the U.S. every year. This is compared to more than 7 million total cars sold in the country every year. As such, hybrid cars have year to gain the mass market acceptance which many pundits once thought was possible. Now we have the EV and there is no doubting that these cars have capture the imagination of industry analysts. In fact, the independent think tank RethinkX has forecasted that nearly 95 percent of all passenger cars sold in the U.S. by 2030 will be EVs. Given the slow growth of hybrid vehicles, this might be a bit hard to swallow and most other forecasts believe it could take as long as 2050 to reach that level of market acceptance. However, the analysts at RethinkX believe the main driver behind the electrification of transportation will not the be the cost of gas or the environment, rather it will be the growth of a new phenomenon known as transportation-as-a-service (TaaS). Imagine Uber on steroids where almost no one owns a car. Instead, drivers will subscribe to a car service which allows them to use a car when they need it. In some ways, this make sense as the average car is used less than 10 percent of the time. In addition, attitudes about car ownership are shifting – especially among millennials – who for a combination of factors don’t feel the need to purchase a car outright. While a TaaS ecosystem might sound compelling for some, it still doesn’t fully answer how EVs will conquer the world. At least, not on the surface. But if you step back to look at the numbers it starts to make sense. First, a TaaS ecosystem would equate to a lower cost of ownership and this would bring the cost of EVs in line their gas guzzling cousins. Second, is maintenance cost. Simply put EVs have fewer moving parts and this will allow these vehicles to run for longer periods of time with fewer maintenance requirements. Even if this sounds compelling, a radical shift in car ownership would pose serious challenges for a several industries. For the auto industry, the change would have a massive impact on the volume of new cars they need to produce each year as well as raising serious questions about who would own and operate TaaS fleets. Then there is the insurance industry. If the passengers don’t own the cars, then will they need property and casualty insurance? Also, what would happen if there is a wrongful death claim as it is safe to assume that the automakers don’t want to carry the liability? Next up is big oil. While EVs won’t totally replace the need for petroleum based products, every mile driven by an EV is one less mile driven by a gas-powered car. The impact could eviscerate what is a global industry with trillions in revenue every year. Will EV conquer the world? Maybe yes, but the odds are that any prediction about its impact on the auto industry will be more wrong than right at this point.